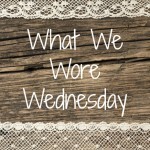 It’s What We Wore Wednesday, and I couldn’t wait to show off these cuties. 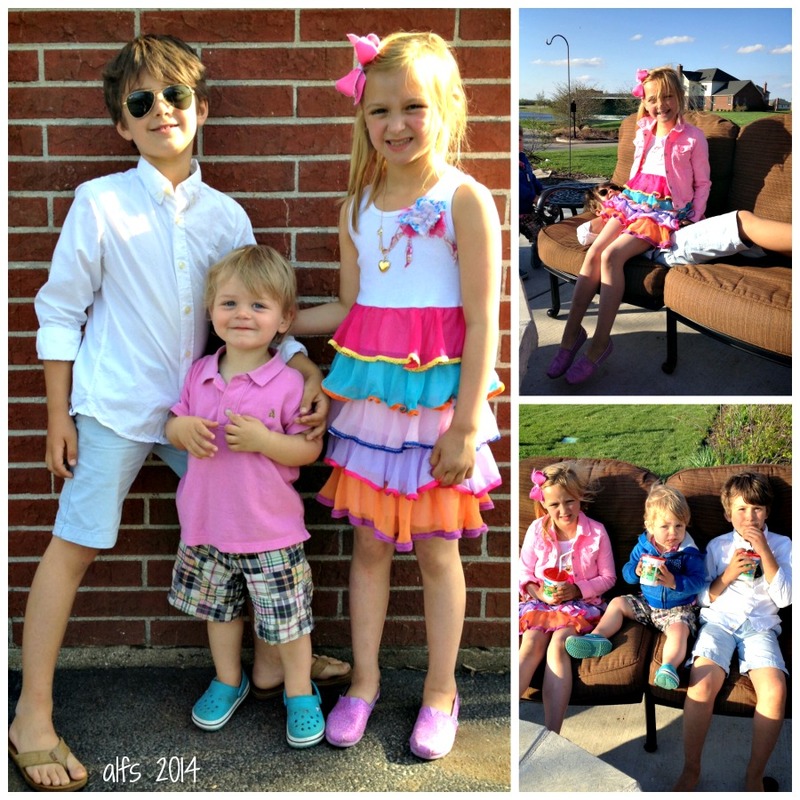 We had a special date night with L’s good friend, Olivia, and we could not have had more fun. Pretzel rolls, golf cart rides, kiddie cocktails, dancing in the grass, and chocolate cake. Ah, to be 7. I didn’t get in on a pic that night but I promise you I was not in yoga pants! On L: H&M shirt, Old Navy jeans, Rainbow flip flops and Ray Ban aviators. On B: Gap polo and shorts, both courtesy of L. Crocs down low. On O: Our guest model this week is sporting a dress by Twirls and Twigs. Her necklace (love!) is crewcuts and she is rocking pink Toms. Hot pink jean jacket from Gap. Do you have any fun pics to share? Comment below to link back to your own blog or head on over to our super hip Pinterest board. Ummm..could your kids get any cuter? Rockin the sunnies and everything! Thanks for stopping by and commenting!! I thought for a second I had commented on my own blog when I saw Courtney and A Life! Those are sweet kiddos you have there!